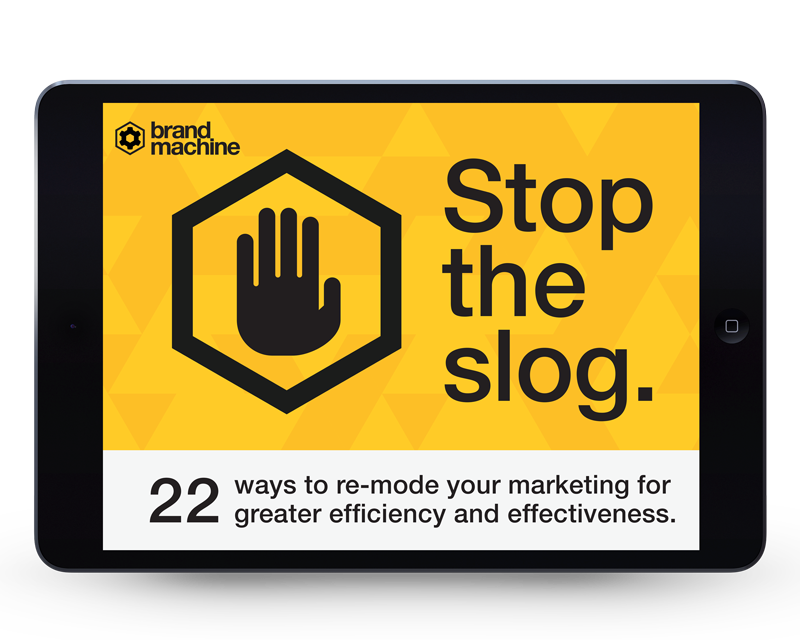 Download your free copy of our eBook Stop the Slog. 22 proven tips to free your marketing team from painful processing and admin work, and create more time for the marketing that really matters. Smart marketers are realising they can reduce their team’s daily grind tasks through the use of smart marketing automation tools. This eBook is packed with tips and tools to help you find more effective ways to work using new and not so new marketing software, leaving more time for the work (and play) that really matters. Get local marketing done locally, rather than by your team. Use a proposal template to create better pitches faster. Packed with practical advice, examples and tips, this eBook will make you think twice about your current processes and find ways for you and your team to stop slogging away, and do more of what you really want to do each day.